The 4x4 concept updates Lada's "X" design language that uses a cross motif along the body sides and on the grille. MOSCOW -- Lada unveiled a concept car previewing a replacement for its 4x4, more than 40 years after the budget off-roader first appeared. 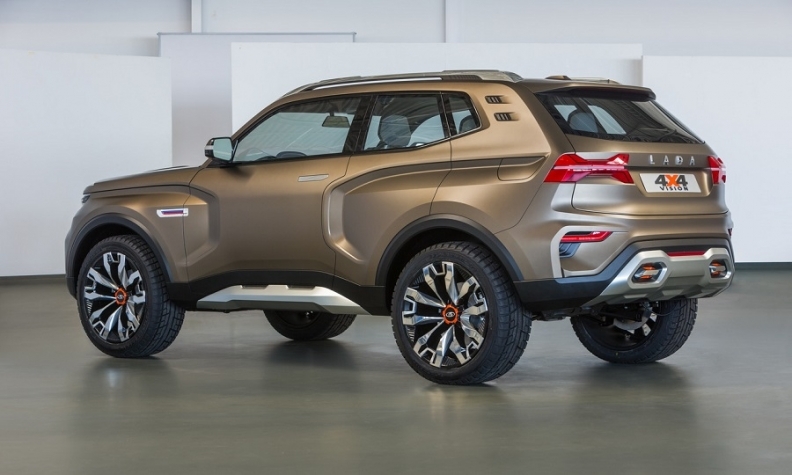 The 4x4 Vision borrows design cues from the 4x4, which is called the Niva in export markets outside of Russia. The 4x4 continues to sell well despite its age. "It's an icon and a legend. 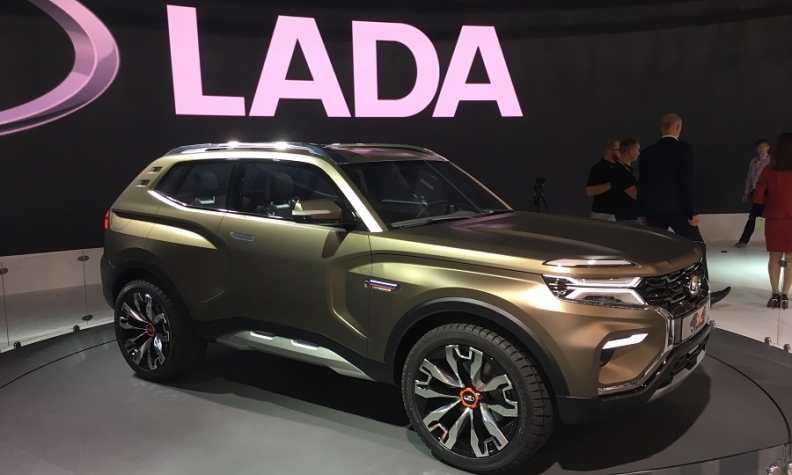 We have taken a lot of the design DNA and interpreted it in a modern way and incorporated it into our current design language,” Lada design chief Steve Mattin, told Automotive News Europe on the sidelines of the auto show here. He didn’t say when a production model would arrive. References to the current car's design include the "eyebrow" lights above the main headlights, a nod to the high-mounted indicators, as well the vertical front end and the clamshell hood. It also includes a version of the current car's rear ventilator openings in the rear pillar. At first glance, the 4x4 Vision looks like it keeps the three-door body style, but the concept is a five-door with the rear pair hinged at the back to help hide them. "The iconic 4x4 is a three-door, but we wanted to create a bigger vehicle,” Mattin said. The car is still short by modern SUV standards at with a length of 4200mm. Lada said the car had a traditional low-ratio gearbox and more modern driver aids to ensure it had "unbeatable" off-road performance in its segment. The concept updates Lada’s “X” design language that uses a cross motif in the grille as well as along the bodysides. The 4x4 concept has five doors to better meet modern tastes. The 4x4 was Russia's 14th most popular car in the first seven months, with sales increasing 15 percent to 17,824, according to data from Russia's AEB auto industry group. 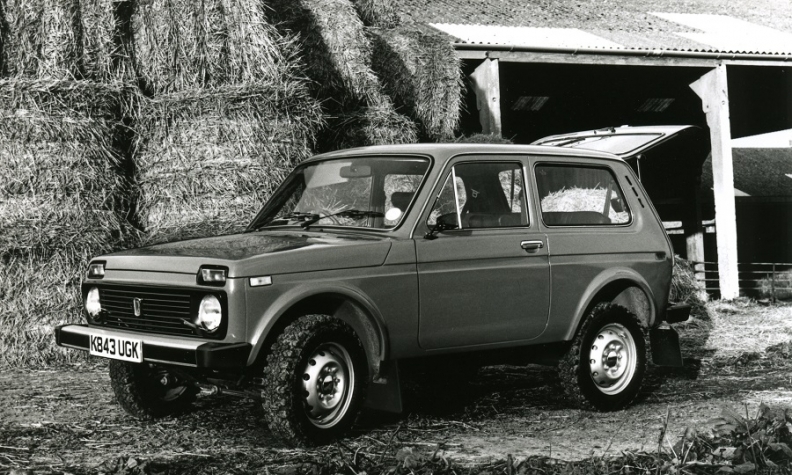 Lada was Russia's most popular brand in the same period with sales just under 200,000. The figure is a 20 percent increase over the same period the year before on the back of demand for new models such as the Vesta range of small cars. The Russian market overall rose 17 percent. The Vesta was Russia's best-selling car in July, displacing the Kia Rio. A future 4x4 would need to address needs of very different buyers compared to the current model, which was first launched in 1977, Mattin said. "The original 4x4 was created over 40 years ago and the world has changed since then," he said. "You only need to look in the city to see how many 4x4s there are. That wasn't the case 40 years ago. They were only used in the countryside." The current 4x4 has a devoted following in Russia and in other markets because of its traditional looks, its cheapness and its off-road ability. In replacing it, British-born Mattin faces a similar challenge to Land Rover, which is in the process of bringing out a replacement for its long-running Defender off-roader. The current 4x4 has a devoted following because of its traditional looks, its cheapness and its off-road ability. Lada has had to stop sales of its 4x4 in export markets such as Germany as Europe switches to new emissions regulations. Its parent company AvtoVAZ, owned by Renault, has said it is unlikely any future Lada will be sold in the EU because of the cost of making the brand’s cars compliant. Renault also does not want Lada competing against the Dacia brand.